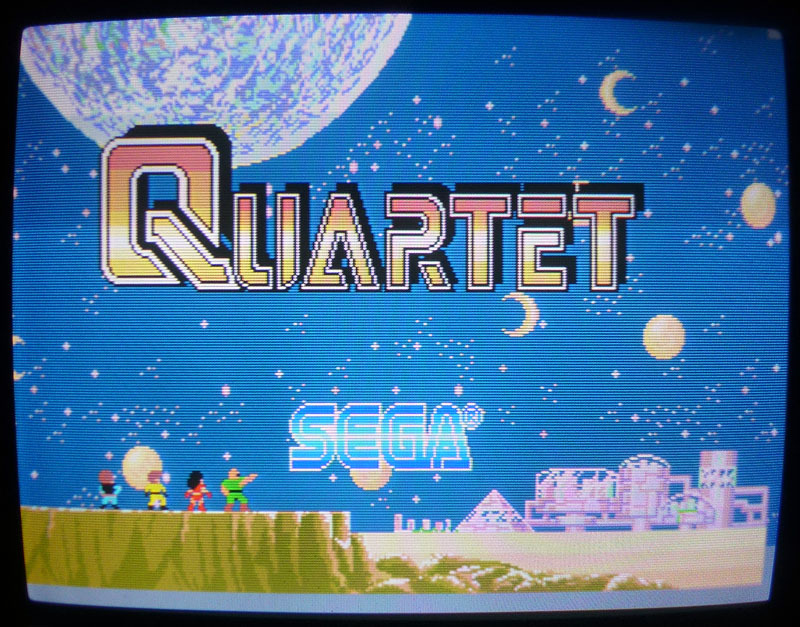 Here is a recently repaired Quartet running on Sega pre-system 16 hardware. The 3 replaced chips are highlighted in red. I will explain every step of the repair process below. 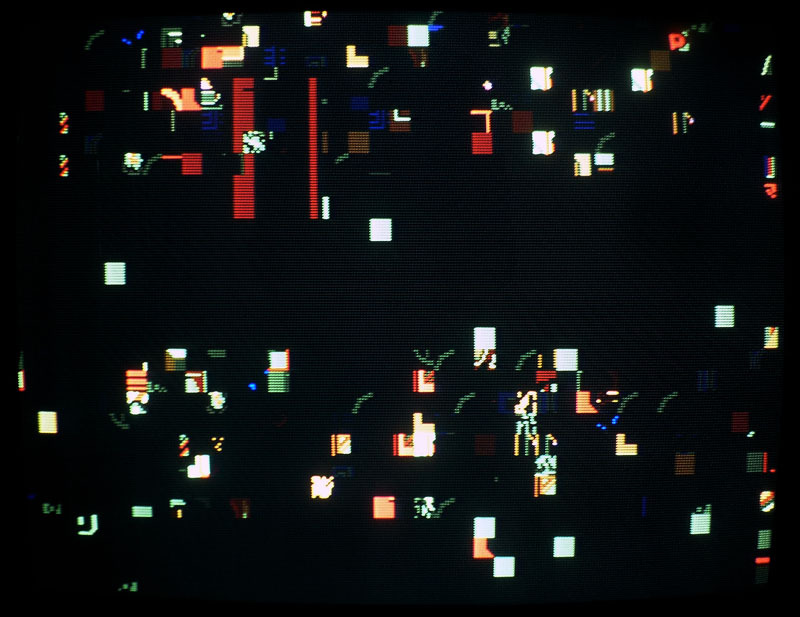 2) I then got a screen with garbled graphics but with a countdown appearing at the center. This is normal on pre-system 16 games. Normally, after reaching 0, the game is booting. Here, I got a black screen after the countdown. I noticed that the reset pin on the 68000 had a square looking wave signal, which was pretty weird (it should be a linear signal at +5V). The chip that generates the reset signal is a MB3771 located at 1G (again, manufactured by Fujitsu). 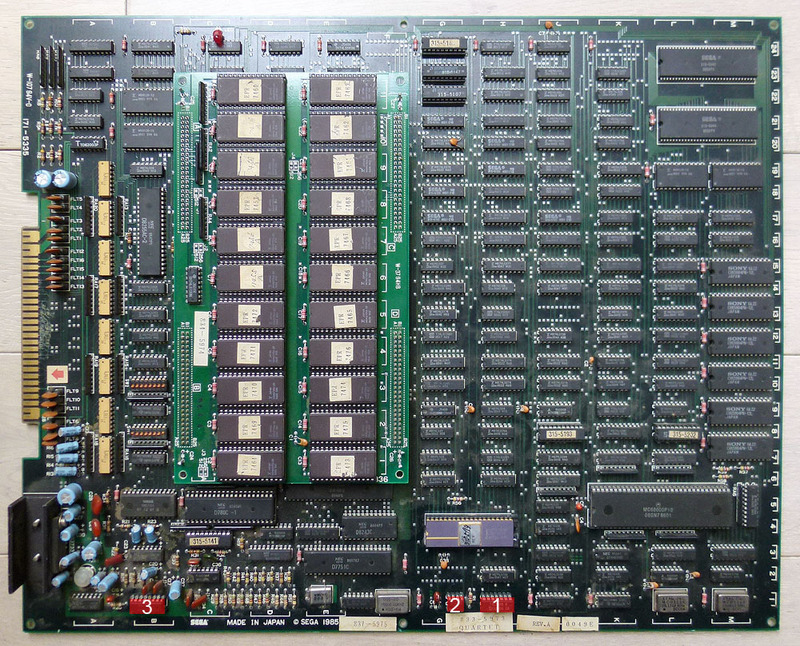 Probing its pins made the game sometimes booting. I replaced it by a new 3771 chip and the game was now starting normally. 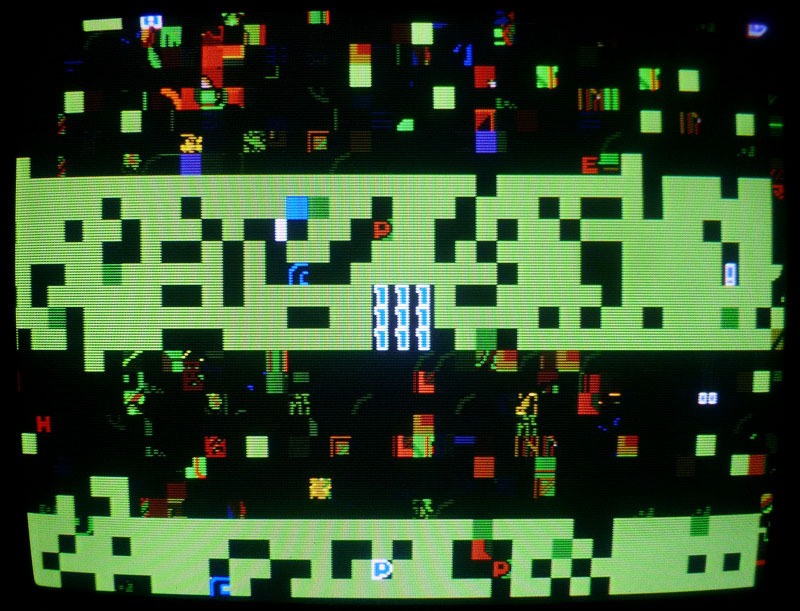 3) The game was working and playing fine except for the FM sound that was inoperative (only the voices could be hear). It was due to the YM3012 located at 1B (a DAC). It had good looking signals on its inputs but nothing seemed to get out of its outputs. After replacing it I got the FM sound back. Now the game is fully working.